The plantain tree, also known as plátano in Spanish-speaking countries, is a tropical tree of the banana genus (Musa) which originated in the region between Malaysia and northern Australia. It is found in all tropical areas where bananas are grown. The fruits of this tree are starchy and are usually not eaten fresh like sweet bananas; they are either boiled, fried, roasted or steamed. While they are green, they are savory, as opposed to the common dessert bananas. Mature plantains are usually cooked, but they are sweet. Some eat mature plantains without cooking. A photo of one common way to eat mature plantain fruits is shown to the right. More Plantains vs. Bananas. 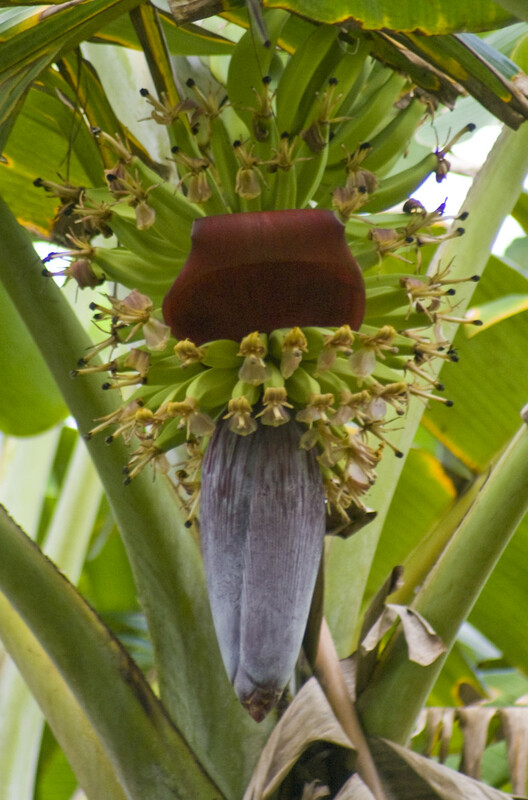 To look at a plantain tree, it would be difficult to differentiate it from a common dessert banana tree. Appearances begin to become apparent when the fruit reaches maturity. Commercial plantains that make it to world markets are fruits that are about a foot or so long; but there are varieties that are also the size of small bananas that are economically important within the growing regions. In Costa Rica, there is a small plantain that is short and stubby called cuadrato, or guineo. It is commonly boiled for use in soups like arroz de maiz. It is can also be fried and salted, or it can be pickled. Pickled cuadrato is often served in Costa Rica with fried chicken orders. It tastes something like a potato, but it has a firmer texture. The Plantain Is Not A Tree. In a scientific sense, the plantain is not really a tree. It is a monocot, or a member of the group of plants that include grasses and palm trees. Its trunk is actually called a pseudostem. If you cut the trunk you can see the overlapping leaves that are layered from within. True trees have an epidermis (bark) and phloem vascular tissues around the circumference. Xylem, or water conducting tissue is deeper into the trunk towards the pitch core. With plantains, the xylem and phloem tissue is scattered throughout the pseudostem and there is no epidermis. Proper fertilization practices. These plants take up a lot of nutrients from the soil. 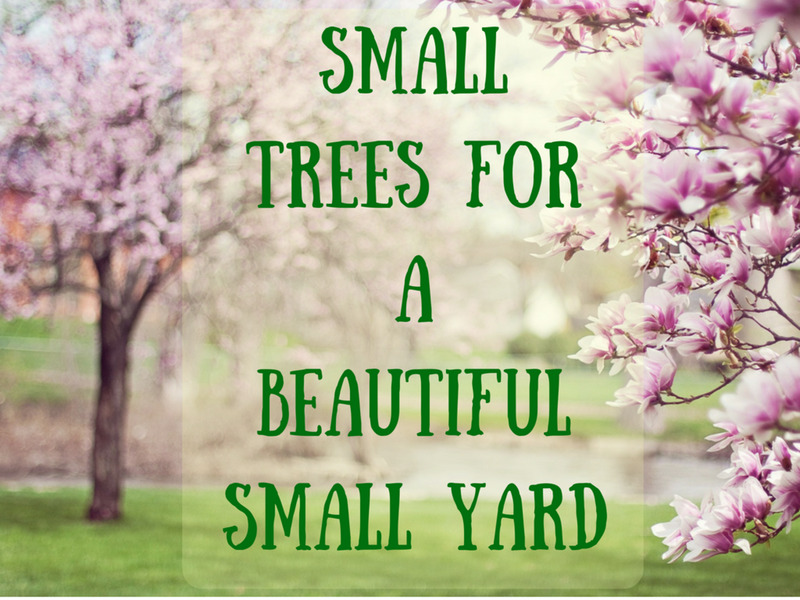 A balanced fertilizer or one with higher phosphorus levels is recommended. Calcium addition to the soil also is required. 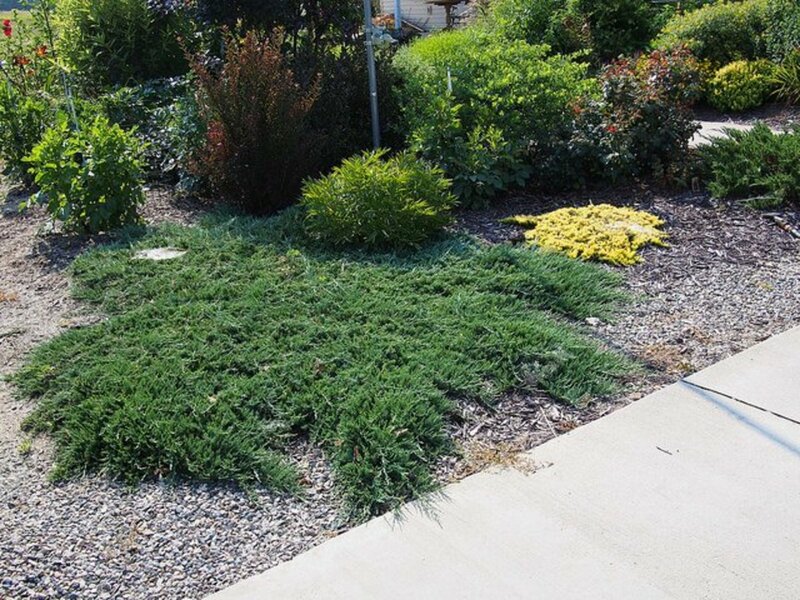 Add fertilizer and calcium to the planting hole. Planting at the proper time. 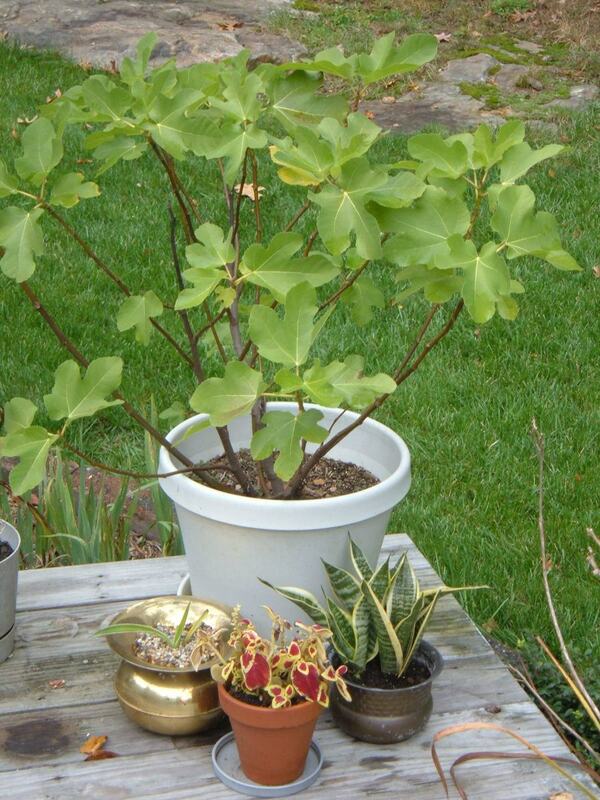 Plant at the end of a dry season so there is constant moisture available for growth. However, staggered planting is also practiced to help reduce surplus production during summer months. Irrigation methods must be in place if there are extended dry periods, however. 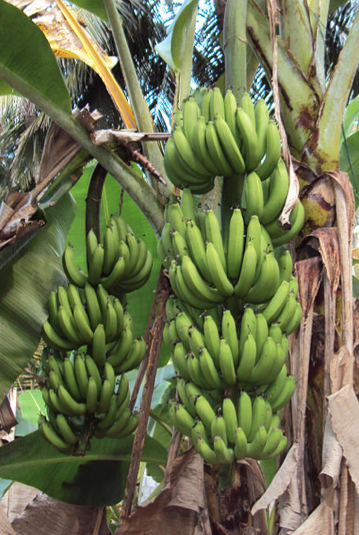 Banana plants don't survive when there are two successive months without moisture. Plant spacing. Plantain roots compete heavily for moisture and nutrients. Spacings that allow from 400 to 600 plants per acre have been found optimum for yield production. Weed control. Periodic herbicide applications are needed to reduce competition for nutrients. 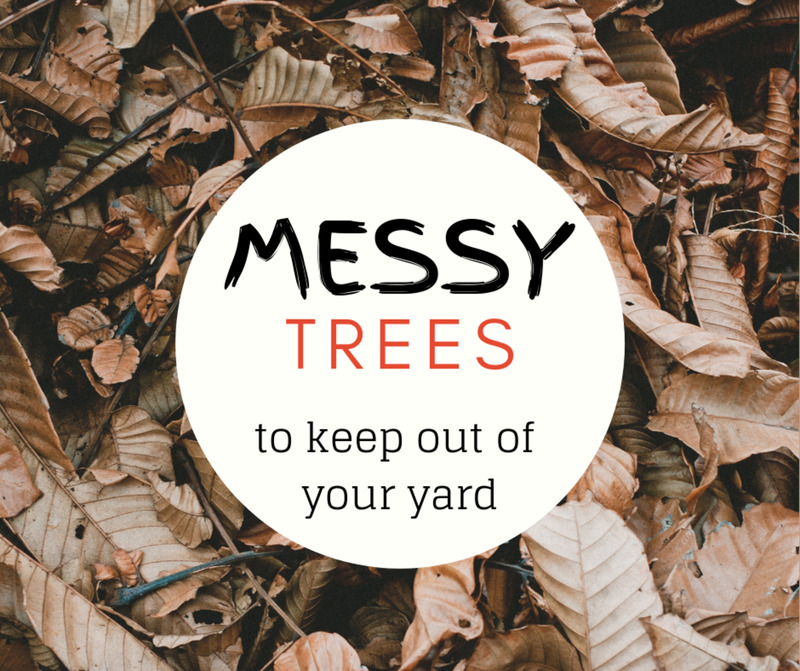 After a stand is established, pruning of old leaves and continued attention to reducing weeds is needed. Water suckers need to be eliminated as well and only on maiden suckers should be allowed to grow along with the mother plant. 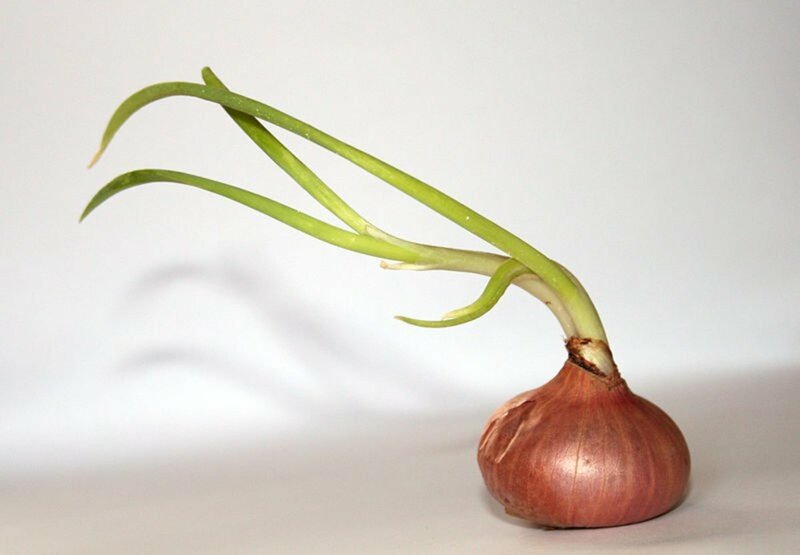 This sucker should originate closest to the stem of the mother plant to provide a vigorous succession plant once the fruit is harvested. There is only one crop per plant, so succession plants are essential for continuous production. As the plantain tree matures, a shoot originates from the growing tip of the plant. It terminates in a what looks like a large purple bud. This bud hangs down due to its weight. An early opening but is seen in the first photograph of this article. 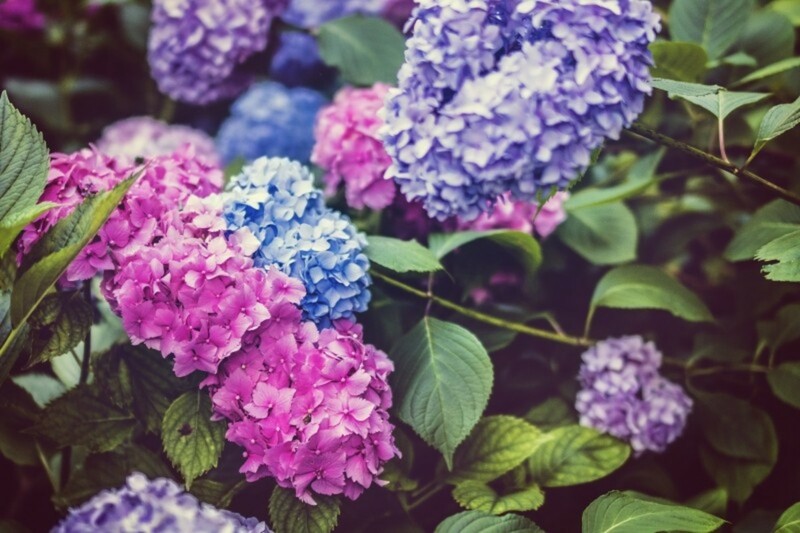 The purple bracts on the outside of the bud open and the flowers appear. The bracts opens in stages to produce the first layer and then several other layers of male and female flowers, as you can see illustrated in the photo on the right. The female flowers are borne below the male flowers in each layer. Each layer of the resulting fruit is called a hand and each fruit is a finger. After the fruit matures, the male and the female flower structures dry and fall to the ground. 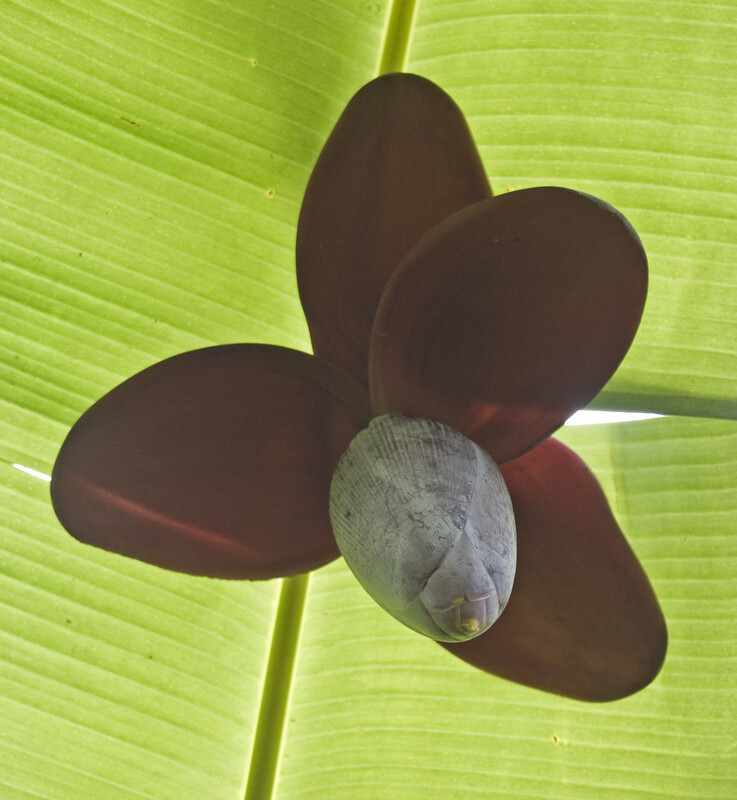 The flowers actually serve no useful function in the making plantain and banana fruit. 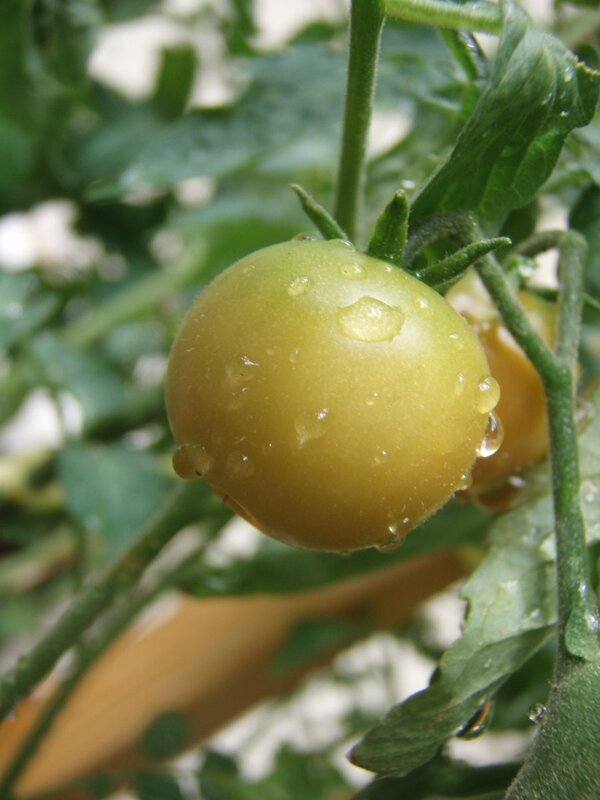 The fruit self-pollinate through a process known as parthenogenesis. Plantain and banana trees that are in cultivation are hybrids known as polyploids. They don't produce seeds because of the same mechanism that occurs in seedless watermelons. So if you were to take off the flowers, you would still get fruit. In fact, some cultures eat the flower parts and later they enjoy the fruits. One of my favorite things to eat as a snack is plantain chips. Here in Costa Rica, you can buy them either salted or salted with lime. Sometimes they are sliced lengthwise or as cross sections. Either way they are very good. They are missed when I have extended stays in the United States. 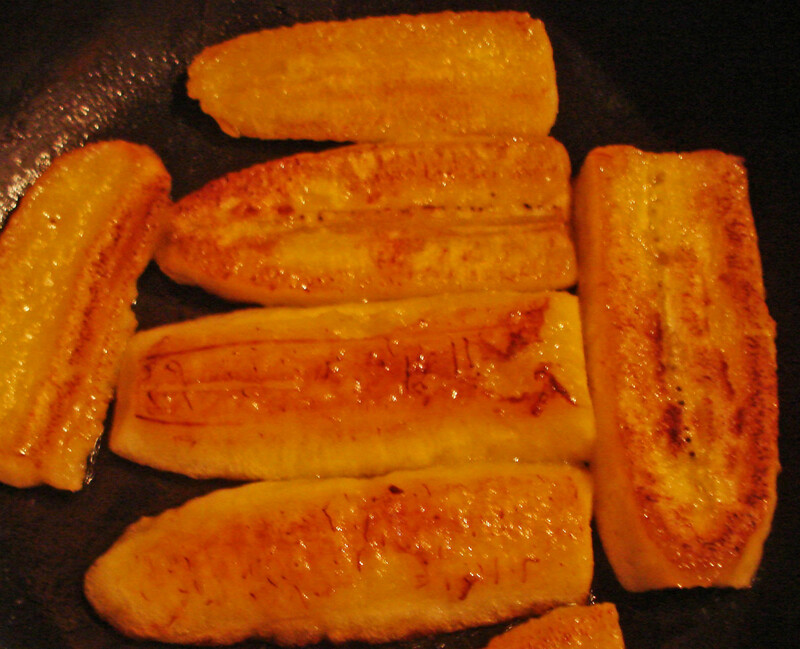 Sliced green plantains, about an inch in length also are fried, smashed and refried. These are called patacones (pat ah conies) and they are usually served with a black bean dip. This is a perfect complement of carbohydrates and protein. Mature plantains are often put in soups, where you would put something like a sweet potato. The soup called Olla de Carne, a beef soup, often has ripe plantains within it, as well as many vegetables like yucca, potatoes, carrots and other starchy roots. Cuadrato, the short and stubby plantain (called guineo in parts of Costa Rica) that tastes like a potato, can be boiled and served with a polenta-chicken soup called arroz de maize (rice of corn) whose recipe I will share on a future hub, because it is really an outstanding soup. This complex soup comes from the region where I live, Guanacaste. You can also slice cuadrato plantain lengthwise and fry it, as you can with green and mature plantains. These are a good replacement for French fries when you don't have any potatoes on hand. Anonymous. Hands with Yellow Fingers. Plantains and Bananas. Economic Botany, UCLA. Morton, J. 1987. Fruits of Warm Climates, Pages 29-46. Julia F. Morton, Miami, FL. Water suckers are less vigorous. Maiden suckers have grown to develop broad leaves. Thanks for your question Evasandra. hi - just a quick question - how do you tell the difference between a 'water sucker' as you mentioned above and the 'maiden' suckers???? Excellent article Randy on the plaintain crop of Costa Rica. I've never really known much about plantains, though they are common ingredients in Cuban recipes, as I have experienced. I visited Costa Rica once in 2001 and though I don't recall the plantain crop, I do remember passing through a plantation full of bananas. The road cut right through the plantation between a field on one side and a warehouse on the other, and an overhead conveyor rail transported hanging bunches of bananas from one side to the other. The tour group I was with were in a high sided mini bus and we had to stop whilst several bunches crossed the road. It was the first and only time I've been stopped by bananas crossing the road! Nice to read this informative hub, and good photos to accompany it Randy. Voted up. Alun. Well-researched article. A friend of mine invites me to dinner from time to time and her grandmother makes the most delicious plaintain treats.